Last year, Trump and the Interior Department made an unlawful move to shrink Grand Staircase-Escalante National Monument. We're currently fighting them in court — but the DOI is racing to raid the land for dirty fuel extraction. The Bureau of Land Management (BLM) just released its proposed Resource Management Plan for the monument — and it's appalling. Their proposal would open huge swaths of the monument to coal mining, oil drilling, and more. It even opens over 600,000 acres to mining for minerals like copper and uranium. If the DOI sell out this monument, we could lose precious scientific resources before we ever have a chance to learn from them. Over 12 new dinosaur species have been discovered in Grand Staircase-Escalante since the 1990s — and paleontologists have only surveyed six percent of the monument so far. 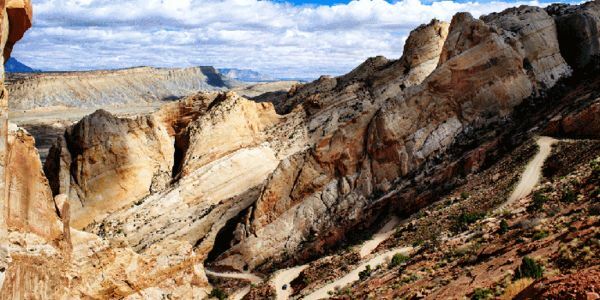 Add your name to oppose any proposal to open Grand Staircase-Escalante to mining, drilling, and other dirty industries.